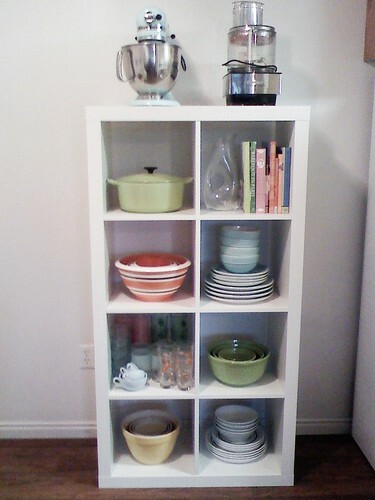 I love this idea of using a simple bookshelf to display dishes and other kitchen items. It is unexpected, functional, and too cute. ooh...this just gave me another idea. I'm thinking I could use a short bookshelf in our master bath for rolled up towels, TP, and such. Thank you for the honorable mention!! i love that idea... 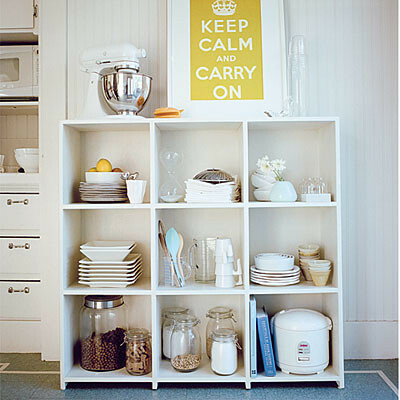 I hate that I live in a cookie cutter builder home that left no empty walls for creativity in the kitchen! As soon as my naughty little boys are grown and gone...I am totally going to do that. 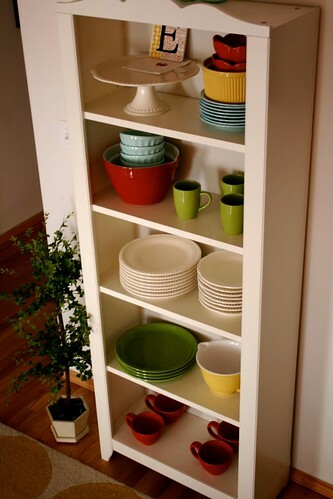 I love looking at cute, colorful dishes out in the open.